Cerler – Castanesa | Cerler – Castanesa | Ecosign Mountain Resort Planners Ltd. In June 2009, Ecosign Mountain Resort Planners, Ltd. was retained by Grupo Aramón to provide planning services related to the review of the Mountain and Base Lands Master Plans for the recently proposed resort expansion of the Cerler ski area, located in the Benasque municipality in the province of Huesca in the Spanish Pyrenees. The study area includes the three municipal areas of Montanuy, Benasque and Castejón de Sos. 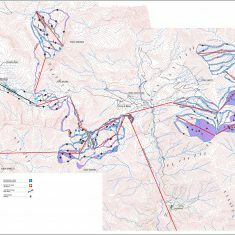 Ecosign’s planning work includes: a full inventory and capacity calculation of the existing Cerler ski area; an in depth review of the existing Lift and Piste Plan and the recently completed General Plan for the Municipio of Montanuy which involves development in 11 villages and gondola connections to the ski resort expansion area and a technical assessment of the development potential of the entire mountain area and base development areas using Ecosign’s standard assessment tools. 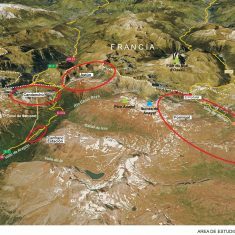 Ecosign has prepared development alternatives for staging skiers to the Frente de Nieve. These development concepts include lifts and pistes, parking and base area development options. Access routes that were evaluated include: Casa d’Arro/Valle Baliera, Bono, Cerler/Basibe and Castejón de Sos. 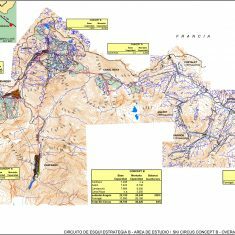 Ecosign also prepared phased Mountain Master Plans for the Castanesa/Basibe/Isabena Zone, Aneto Zone, Ardones Zone and Urmella Zone.